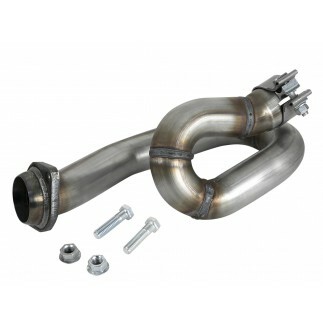 This Twisted Steel Y-Pipe replaces the JL's restrictive factory Y-Pipe. 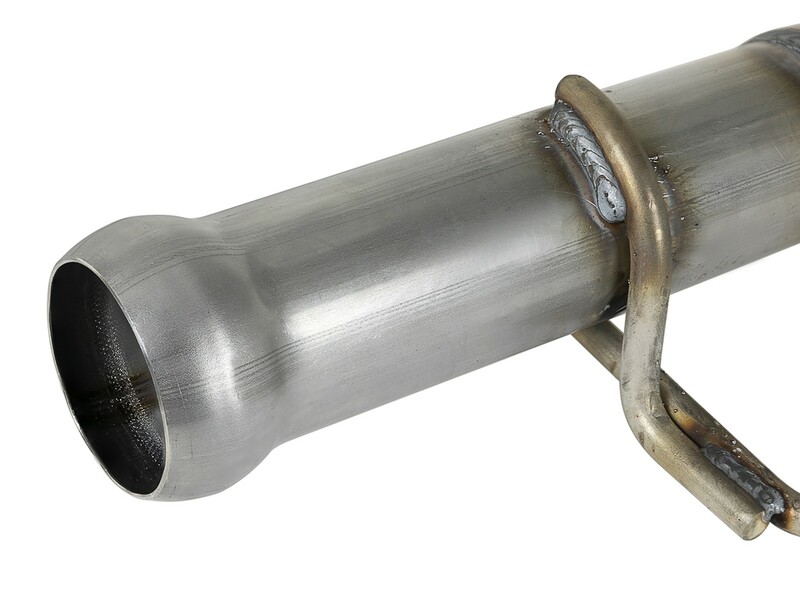 Featuring dual 2-1/4" into 2-1/2" 409 stainless steel mandrel-bent tubing, this Y-Pipe provides smooth airflow and improved performance on and off the trails. 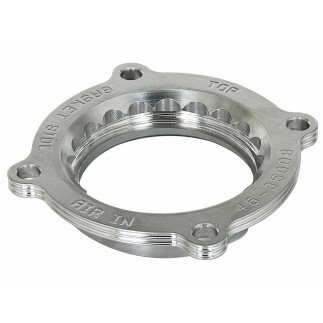 Quality flanges and band clamps for a secure seal. 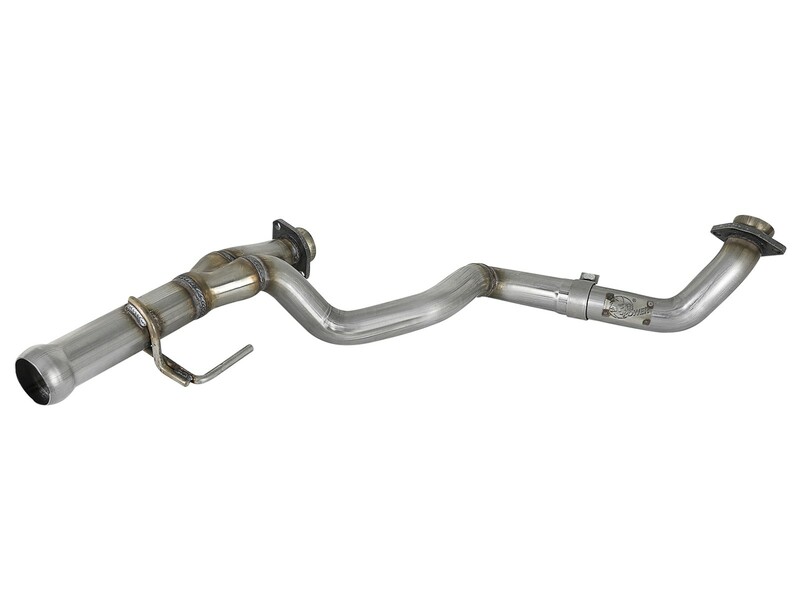 This Twisted Steel Y-pipe for your JL replaces the restrictive factory Y-pipe between the catalytic converter and stock exhaust system or aFe's Mach FORCE Xp exhaust system. 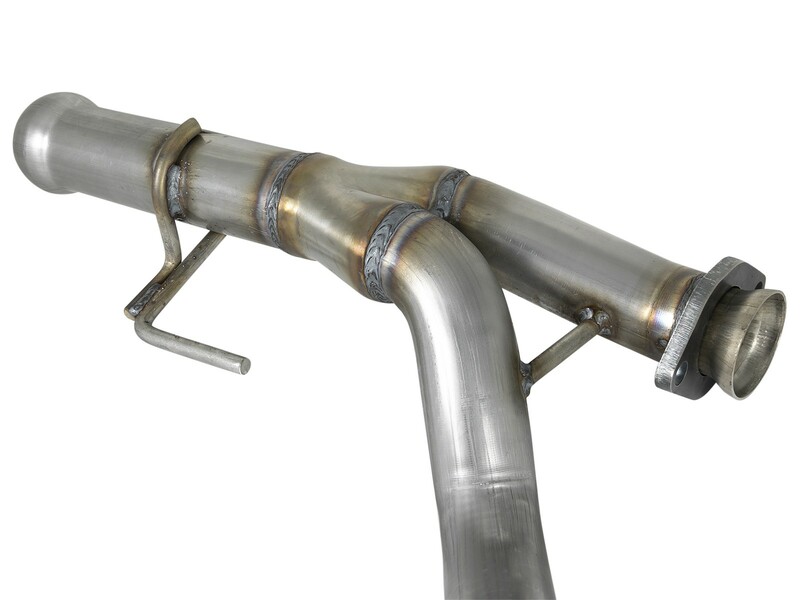 This Y-pipe features dual 2-1/4" into 2-1/2" 409 stainless steel mandrel-bent tubing with factory-style flange connections and 100% hand-MIG welded construction that resists corrosion. 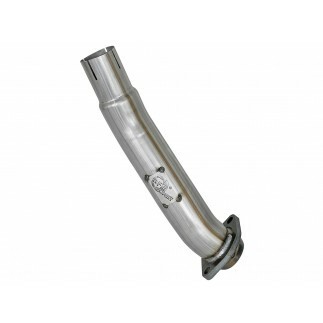 The smooth curves and increased diameter help remove restriction and keep exhaust gas flowing smoothly for improved performance and durability on and off the trails. 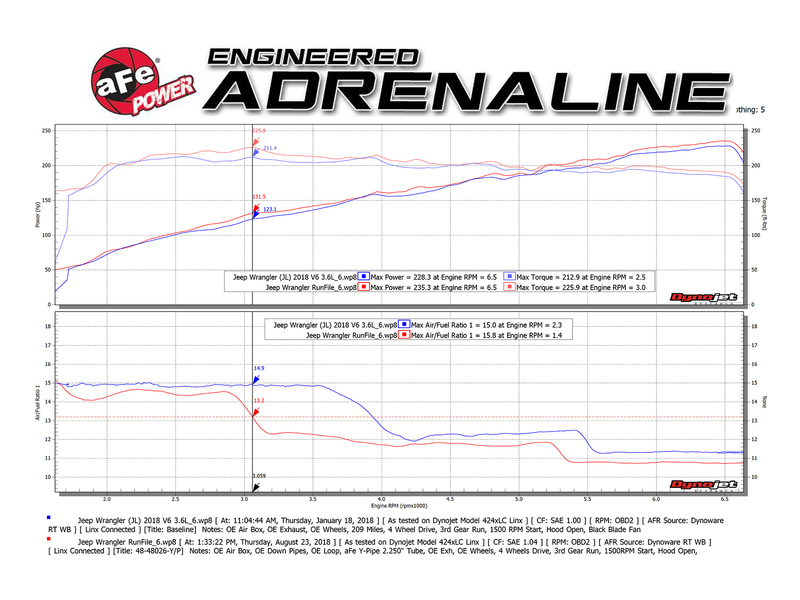 In-house dyno testing produced gains of up to +8 horsepower and +14 lb.-ft. of torque. 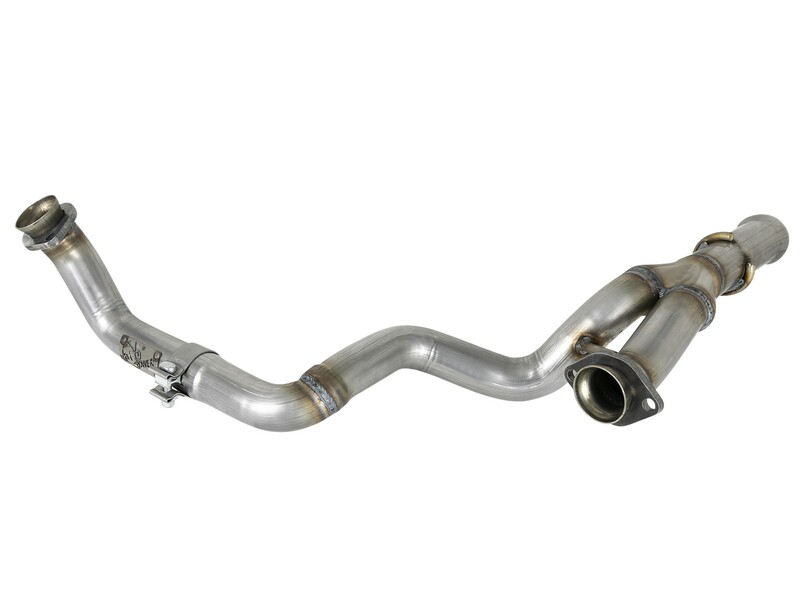 The smooth curves and increased diameter helps remove restriction and keeps exhaust gas flowing smoothly for dyno-proven performance gains. 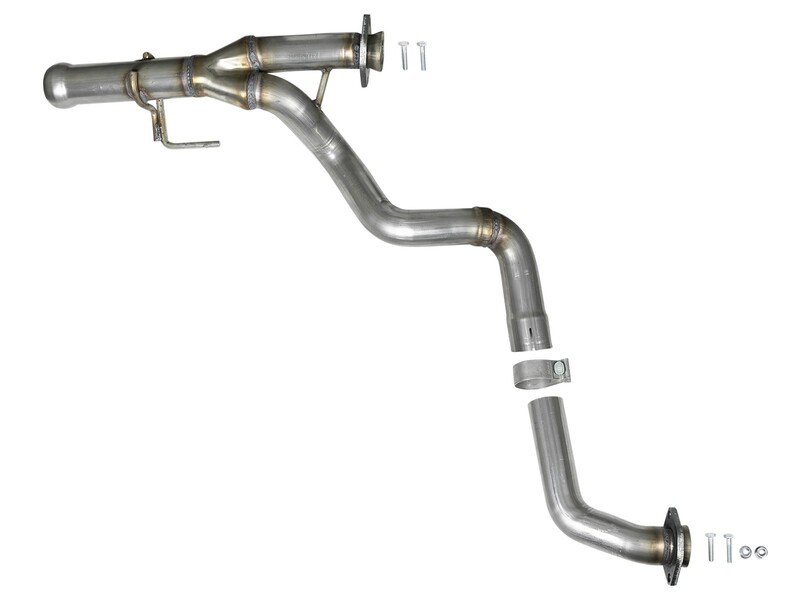 This Y-pipe is constructed of 2-1/4" to 2-1/2" mandrel-bent, 409 stainless steel tubing providing smooth transitions for improved exhaust flow and long-lasting durability. 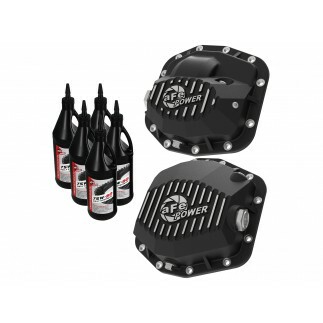 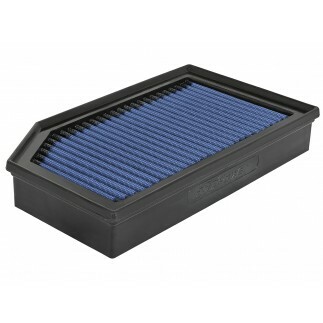 100% MIG-welded for proven strength and durability. 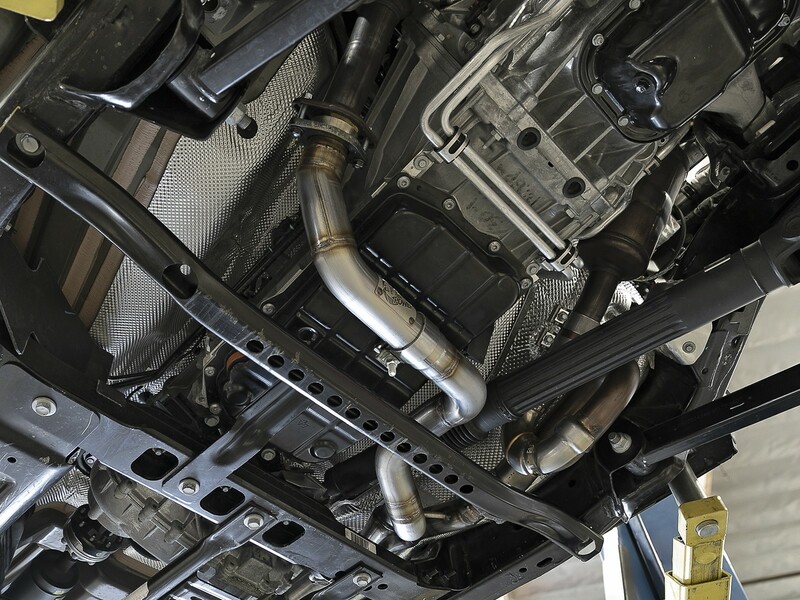 This system mounts directly to factory mounting locations. 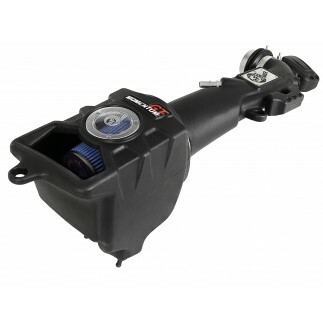 No cutting or modifications are required. 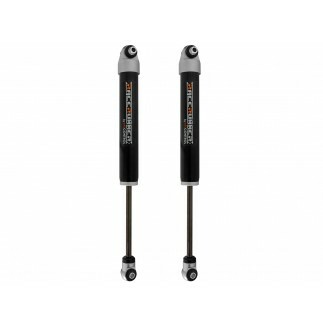 Includes quality hardware for a hassle-free installation.